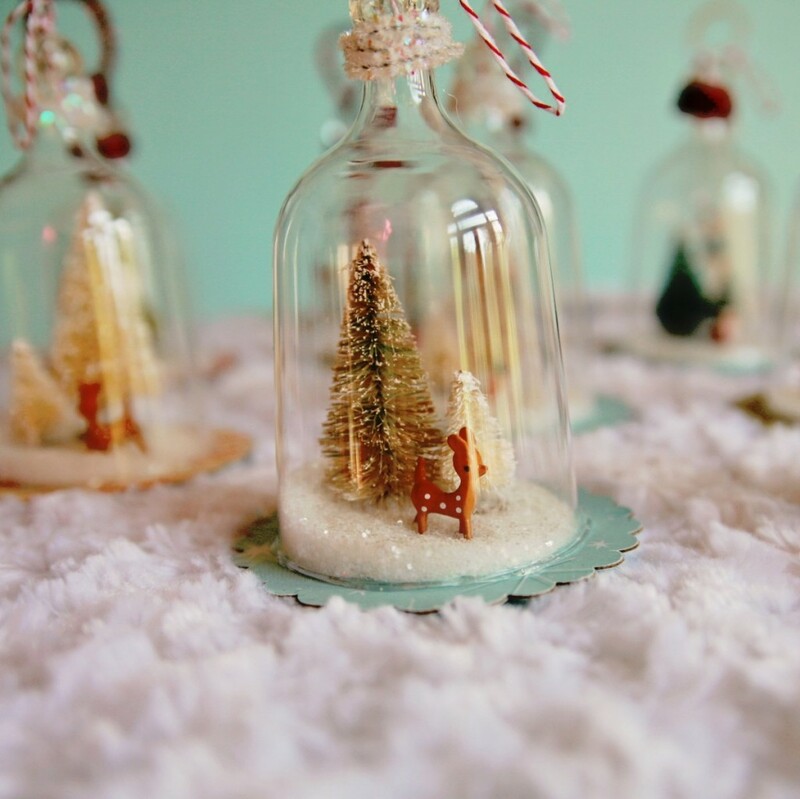 DIY: The Cutest Christmas Tree Decorations Ever! Everything begins to smell like Christmas now – the mandarines, the light decorations in your city, the Blomming storefront… and soon, you will bring a new Christmas tree home and decorate it with your family, right? 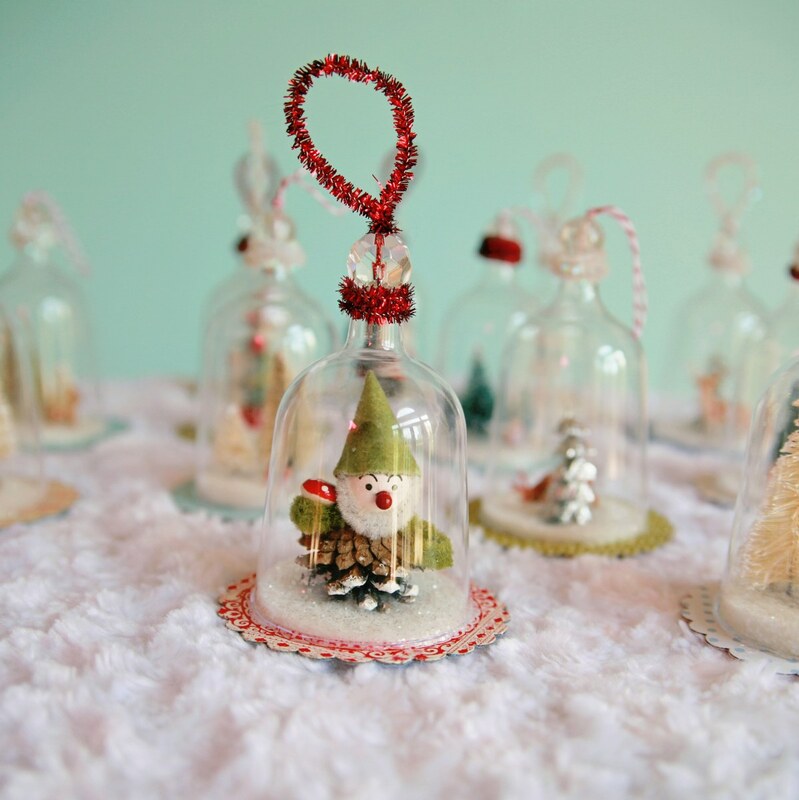 In this case, I found a very cute decoration idea: how about some self-made ornaments? First, cut the glasses, you don’t need the bottoms. As the stem is a bit long, cut/break them away. Cut out the chipboard bottoms with the punch, and use it also to cut the scrapbook paper (you can draw circles and cut them out, it just takes more time). Use the rubber cement to paste the papers to the chipboards, and let it dry. 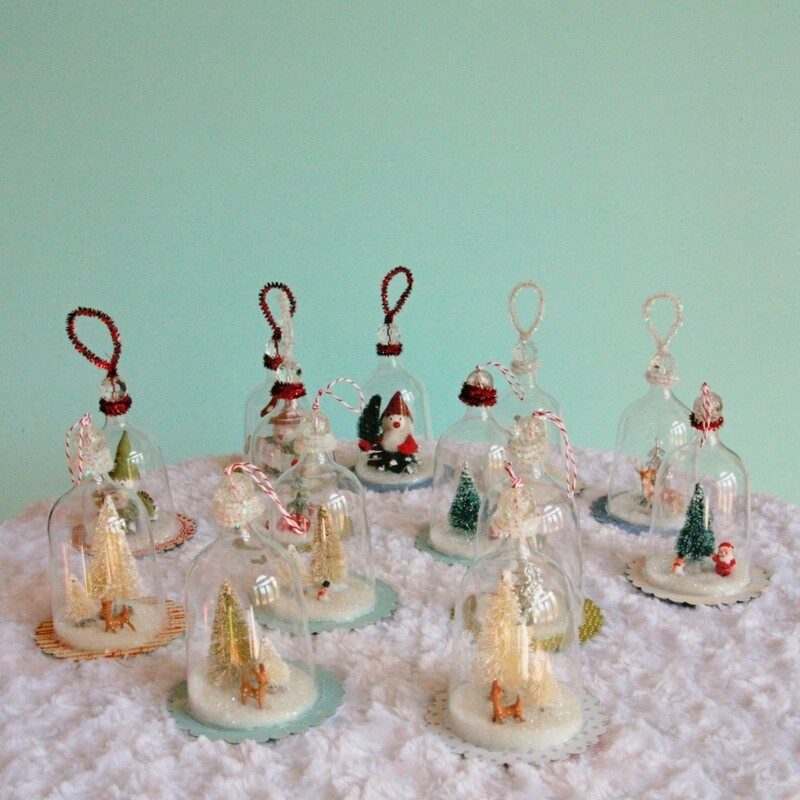 Now’s the time for the inside – put the trinkets and decorations on the circles and paste them with the hot glue. After that, you also need glue around the bottom of the glass (so the large part), be careful to center the glass on the paper bottom, press down and let it dry again. Pour the glitter into the top hole for a “snow effect”. * If you use the pipe cleaners, cut one in half and push it through the bead, twirl it around the bottom of the bead. Create a loop with the other end of the pipe cleaner on the top of the bead and twist it together at the top of the bead. Paste it to the top of the opening of the glass. * If you use twine, cut a long piece, fold it in half and push it through the bead. Now, you need to double-knot the twine loop at the top and at the end below the bottom of the bead, snip any residues and run some glue around the top opening of the glass to seal the decoration. To hide the place where the bead and the glass meet, you can take small pieces of pipe cleaner and wrap them around the spot and glue them. That’s it! Now, your Christmas tree is original and giving a peaceful atmosphere of this wonderful feast… For more Christmas & Winter ideas, check out Mysocalledcraftylife’s Blog. Happy crafting!